I was promised robots. Where are the robots? I was promised robots that would take out the trash. Clean the house. Do the laundry. Drive the car. It’s 2015…where are the robots?! All kidding aside… There are actual robots at work in our homes. These robots are not walking around our homes vacuuming, but these robots are making our lives a little easier. What robots am I talking about? I’m talking about robots that make life easier for home owners. This robot was created by Lennox to operate the Lennox HVAC system remotely. Lennox has created a system that operates your HVAC — heating and air conditioning — system remotely. The iComfort S30 system is a “wireless-enabled touchscreen thermostat.” The iComfort S30 by Lennox controls the HVAC system in your home by “allowing you to monitor and adjust your temperature from anywhere in the world, using your smartphone, tablet, or laptop.” How great would it be to change the temperature of your home from your office? Think of all the money you would save by adjusting the heat of your home? This remote access with the iComfort S30 wireless-enabled touchscreen thermostat coupled with live weather forecast and automatic updates offers you a convenient way to adjust the temperature levels of your home with ease. Not only does the iComfort S30 allow you to adjust your home’s heating and air conditioning systems, but you can also receive alerts and reminders through the iComfort S30 mobile app. I absolutely love the advances in technology from Lennox! 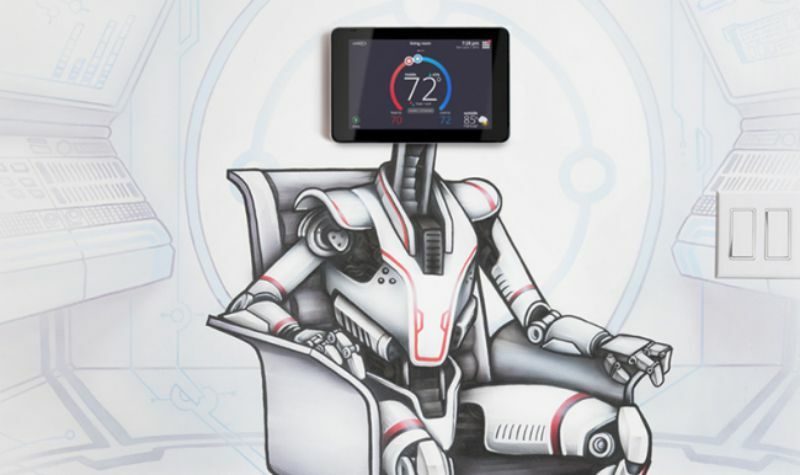 Being able to control an HVAC system from a smart device is a plus in my book! Seriously, where are those robots we were promised? And the car that would drive itself? Such a let down… I do, however, adore the Lennox robot and will forever associate him with the Lennox brand! Such a great invention! One step closer to Jetsons! Wow, Lennox is setting the curve with this one!